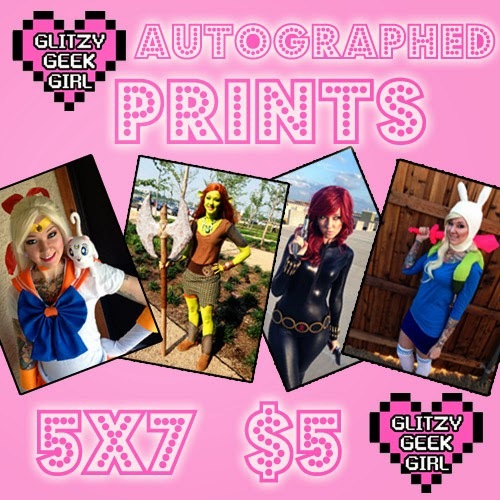 The official GlitzyGeekGirl Etsy store is now open for business!! You have your choice of Sailor Venus, Warrior Fiona from Shrek, Black Widow or Fionna from Adventure Time! These are high quality glossy photo prints in a cute 5x7 size. You can request me to sign it, too, for no additional cost! 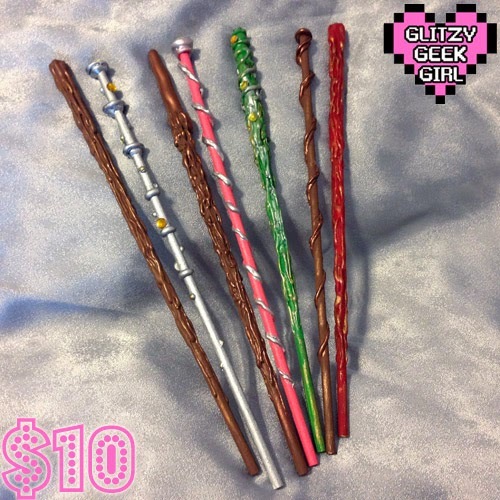 And for just $10 these wizard wands are currently available for purchase. I designed, handcrafted and painted each wand myself. Your wand will be completely unique! 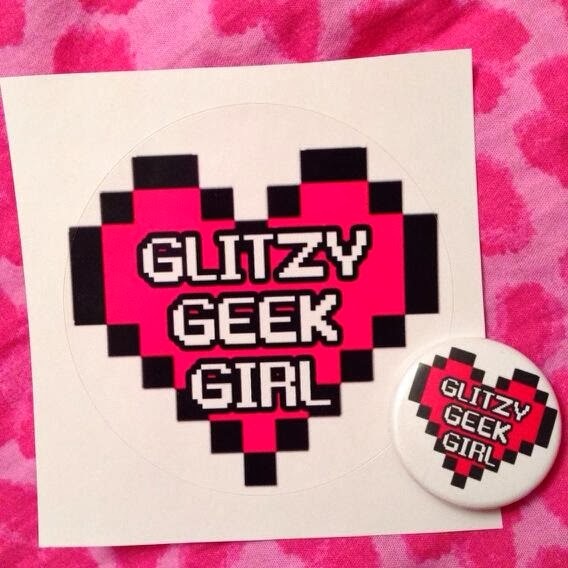 Each order from the GlitzyGeekGirl store will come with a free sticker and button! I plan on creating more geeky crafts so be sure to follow my store for news and updates! *Shipping and handling fees not included. Stickers and buttons are free with every purchase while supplies last. Shipping only available to US residents at this time. OH MY GOSH!!! I'm so excited. The store looks fantastic. How cool! Where's my wallet?? OMG yay! Good luck! I've been wanting to open an Etsy for a while but I have no clue what I'd sell - you're an inspiration! Cool. I have an etsy shop also. https://www.etsy.com/shop/UnicornHearts Not selling anything right now hopefully in the future. I'll add you to my favorites. Oooh! Congrats on your store! Those wands are super fun, and I like that they are unique! I just added some new stuff to my Etsy shop, if you feel like stopping by. Because I'm a big fan of you from Germany and i really like your Cosplays, especially your Sailor Venus Cosplay. The store looks really great! I was excited to see my order arrive! You did a great job on the wands. I have mine in my display cabinet. Your pictures turned out really great! I just wished there was an option to personalize the signature but it's really nice anyway! Congrats on the shop! I want to open one but all my ideas are pretty lame and I would have to work hard to make myself shine from all the rest of the sellers selling the stuff I want to make. I love making simple geeky jewelry.